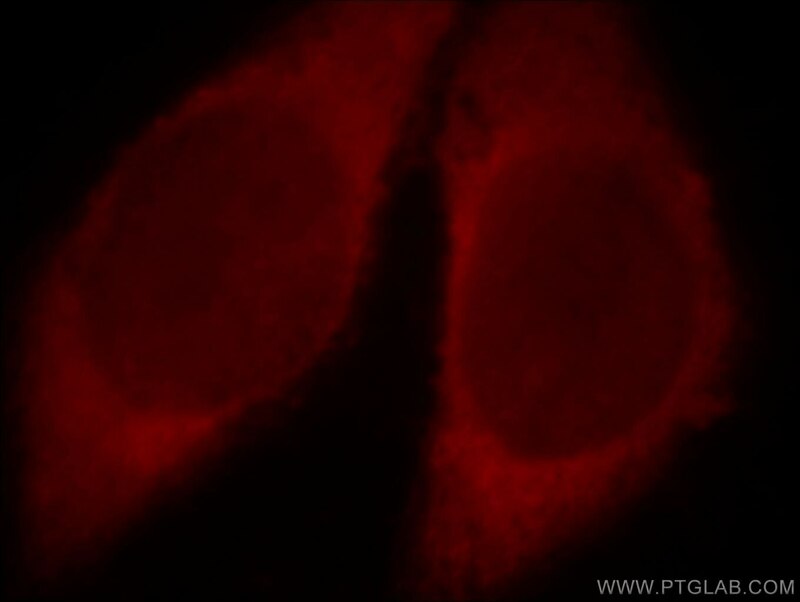 Immunofluorescent analysis of Hela cells, using CAT antibody 19792-1-AP at 1:25 dilution and Rhodamine-labeled goat anti-rabbit IgG (red). Catalase belongs to the catalase family. CAT occurs in almost all aerobically respiring organisms and serves to protect cells from the toxic effects of hydrogen peroxide. 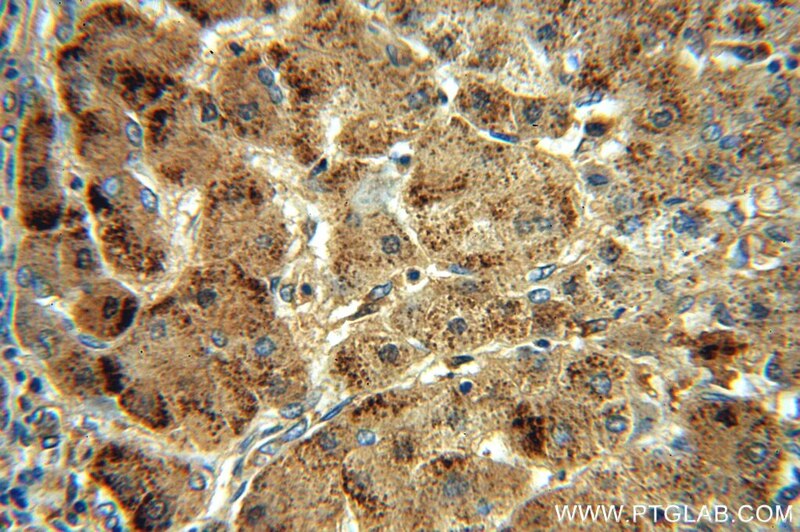 CAT promotes growth of cells including T-cells, B-cells, myeloid leukemia cells, melanoma cells, mastocytoma cells and normal and transformed fibroblast cells. CAT catalyzes the reaction: 2 H2O2 = O2 + 2 H2O. Defects in CAT are the cause of acatalasia (ACATLAS) which also known as acatalasemia. 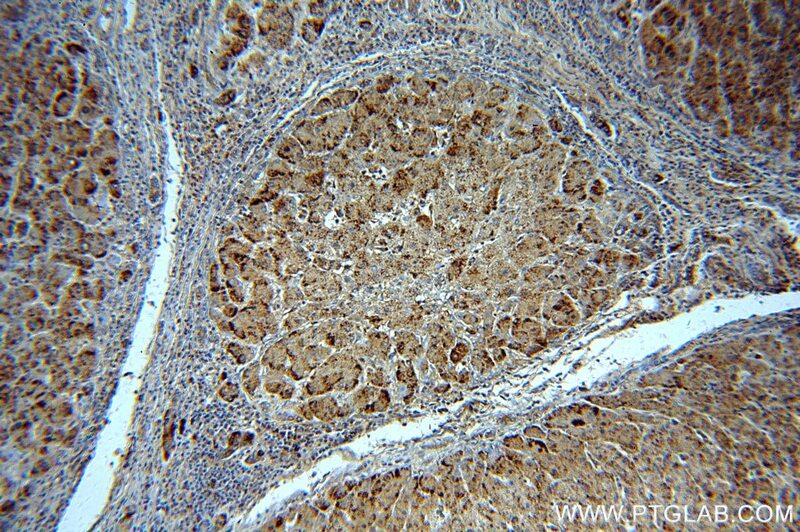 The antibody is specific to CAT. 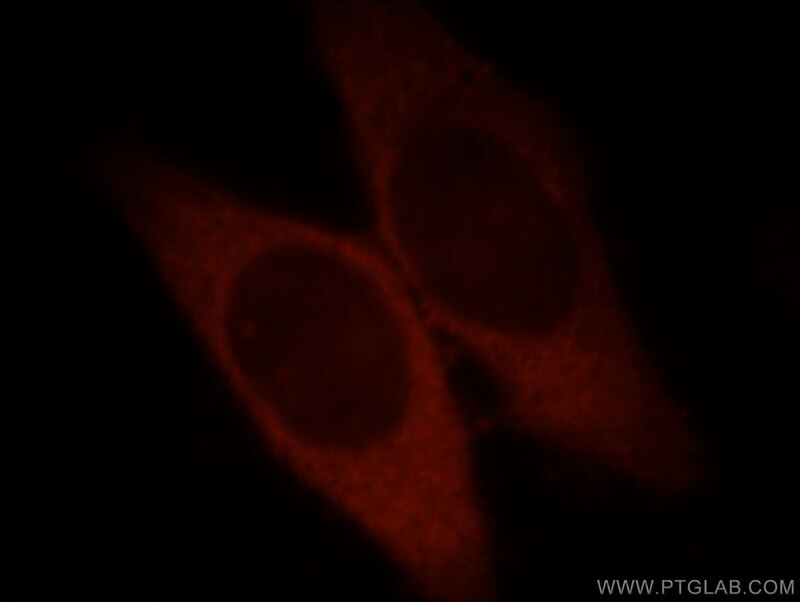 Immunofluorescent analysis of HepG2 cells, using CAT antibody 19792-1-AP at 1:25 dilution and Rhodamine-labeled goat anti-rabbit IgG (red).